I didn't think anything could top that, but it turned out that the Patio was bringing in the star of "Creature," the beautiful Julie Adams, for a Q&A and book signing after the screening! I had to go, and my saintly wife agreed. How's a Creature supposed to keep his cool with that swimming around in its lagoon? 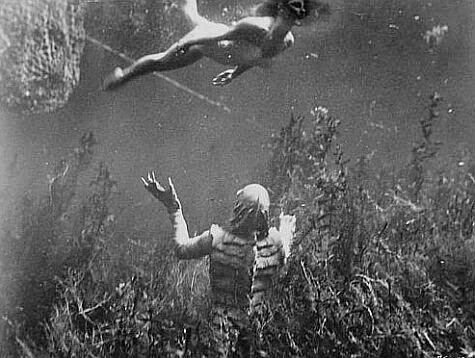 Fair to say that the potent combination of Julie Adams+white swimsuit+Creature gave the movie some lasting resonance for me. Sure, she's starred in a lot of cool movies and TV shows over her long career, including the Elvis movie "Tickle Me," an episode of "Kolchak: The Night Stalker," and even the recent TV series "Lost," but "Creature" put her on the map and kept her there for 60 years. Well, Ms. Adams turned out to be just as beautiful and charming as I anticipated, and after the Q&A my wife managed to get us to the head of the line for the book signing. When we got to meet Ms. Adams, she was sweet and funny and graciously posed for a picture with us. She also revealed a deep-dark Hollywood secret: The Creature and Elvis were equally difficult to get along with! She still looks good in white! 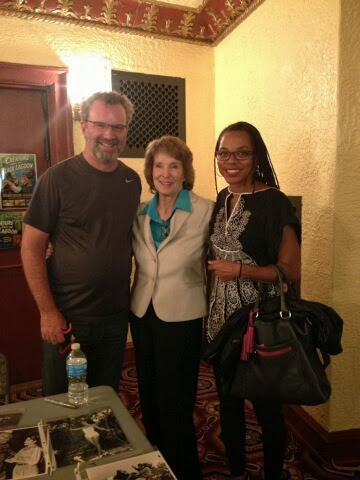 Me, Julie Adams, and my wife pose for the paparazzi. My God, what could it mean?? 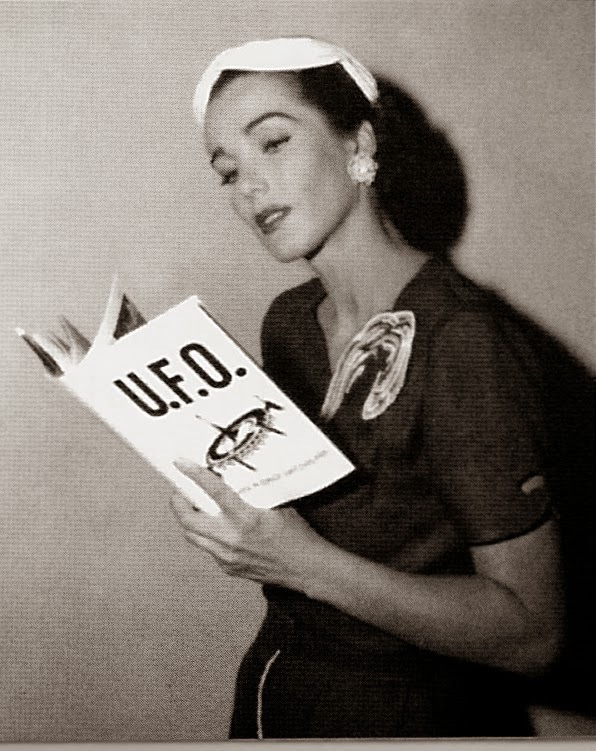 Too bad you couldn't have posed the question to Julie Adams directly about the UFO book. She explains in the book that it's a publicity photo from the TV show "Steve Canyon." She guest-starred in a 1959 episode called "Project U.F.O." 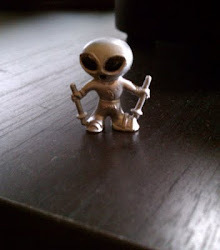 Here's the synopsis from IMDB.com: "Steve goes to Altora Kansas to investigate reports of a flying saucer sighting." Sounds like an awesome episode! I remember Steve Canyon from the weekday and Sunday comic strips from the sixties. 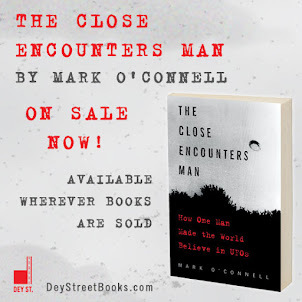 I never knew he was on the trail of UFOs!